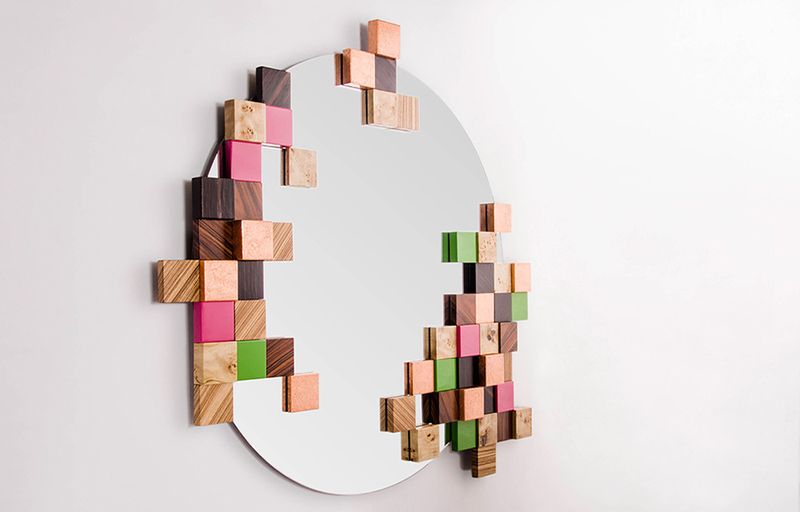 Matrix Mirror, unique piece - Amarist studio - Collector furniture. A fine selection of sensual textures are assembled to form a mosaic around a mirror glass, becoming a fresh and dynamic framework that simulates to be under construction. The combination of materials, textures, colours and volumes of the piece can be infinite. 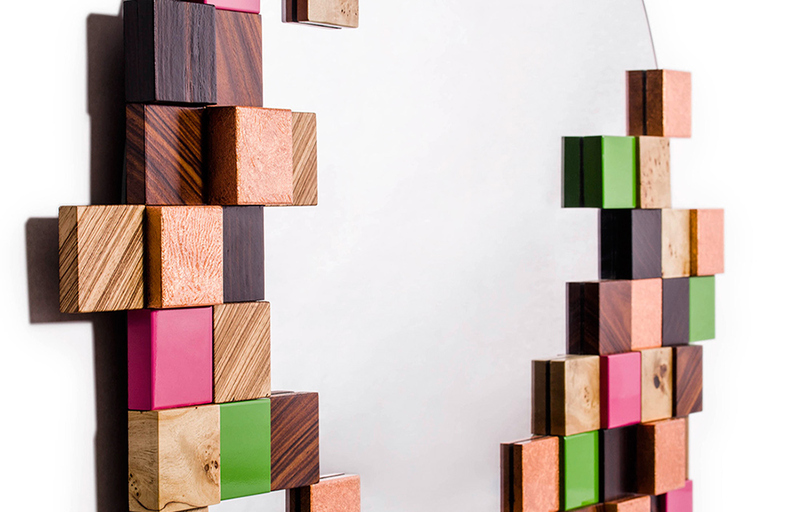 55 pixels of different materials, colours and finishes shape this wall mirror. 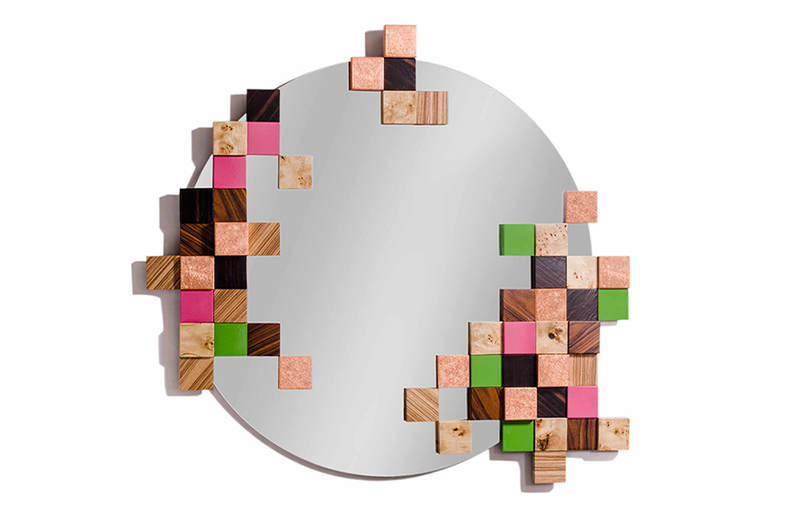 Materials: Silver plated glass mirror, Wood, Ebony, Macassar, Rosewood, Zabrana wood, Mappa Burl. 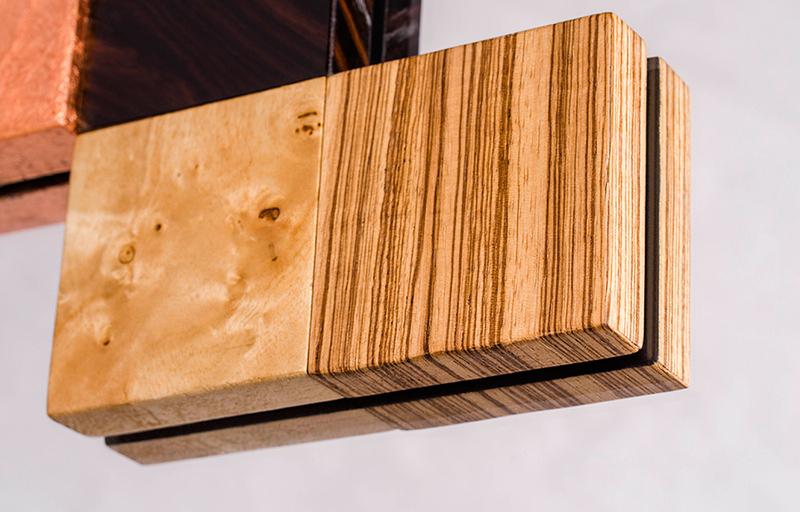 Finishing: High gloss varnish or matt finish. Weight: 11 Kg / 24,5 lb approximately.